Well … my rookie year of being a Yelp Elite is officially behind me. 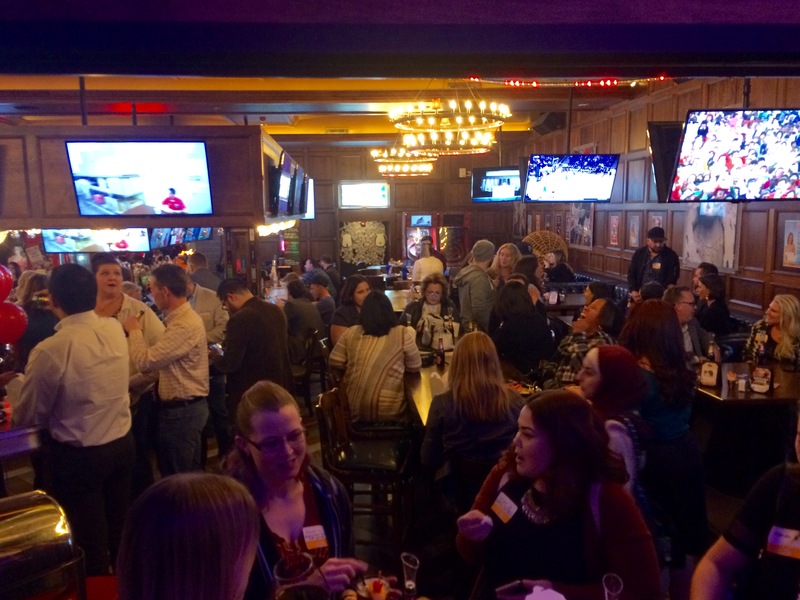 This event was a great way to kick off the new year for all of us Yelpers that got badges for 2017. 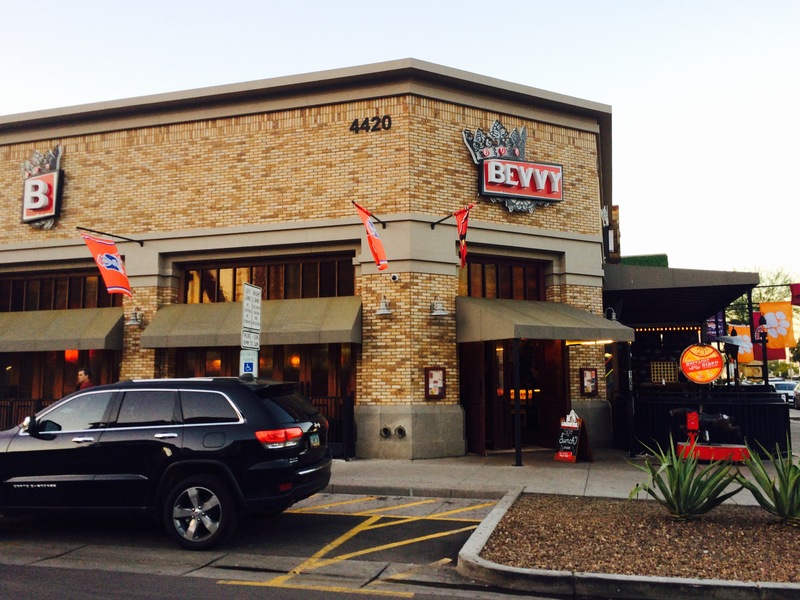 This was also my first time checking out Bevvy and they did a great job of hosting us. I grew up in Scottsdale and can’t believe how much this area has changed over the years. Bevvy is in the heart of the downtown area. They are a neighborhood gastropub run by Evening Entertainment Group (RnR, HiFi Kitchen + Cocktails) and one of the only licensed off-track horse racing betting pubs in AZ. I really enjoyed their spacious patio area, leather booths, wood-paneled walls and the variety of TV screens and yard games throughout the bar. My only knock is that they are the headquarters for the New England Patriots during football season. 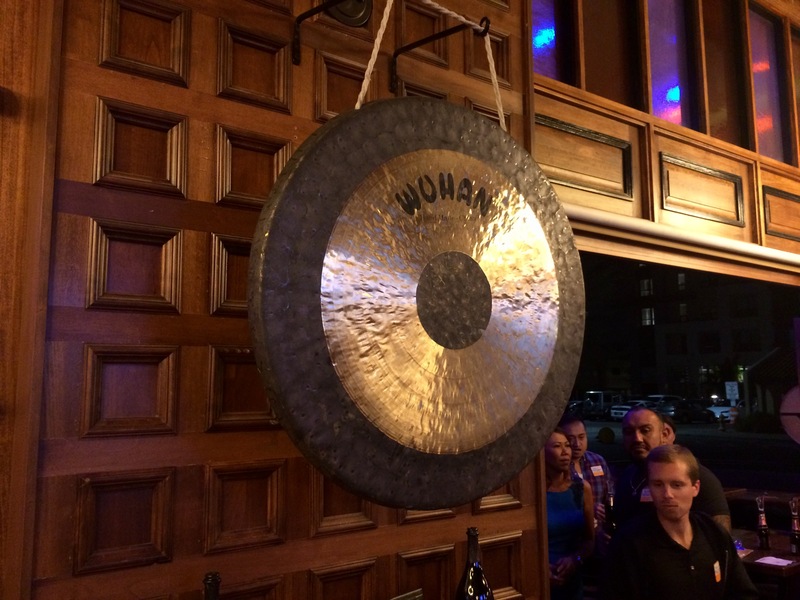 I attended quite a few Yelp events last year and made a lot of new friends. So this event for me was about getting reacquainted with everyone and congratulating them on their 2017 badges. It was nice to see most of my Yelp family all under the same roof. They had Yelp backdrops for us to take photos in front of and Yelp Geofilters for us to post on Snapchat. 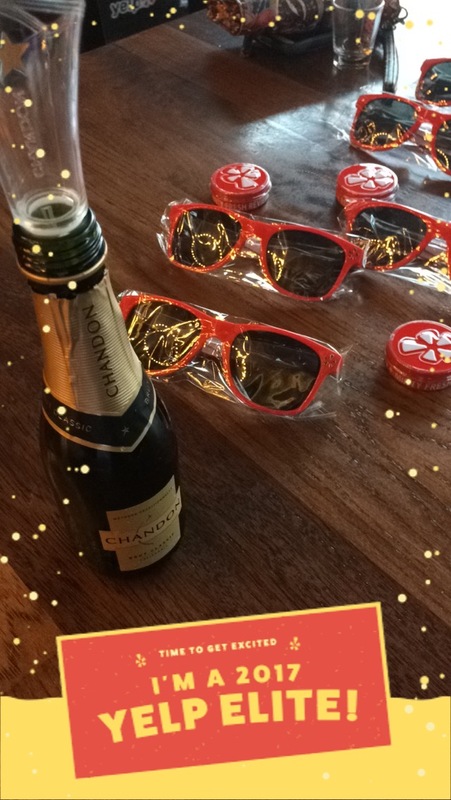 Props to the photo booth guy for killin’ it as always, to Chandon for the champagne, to Bevvy for hosting and providing bacon popcorn and of course to our awesome Yelp staff for the fun evening out! 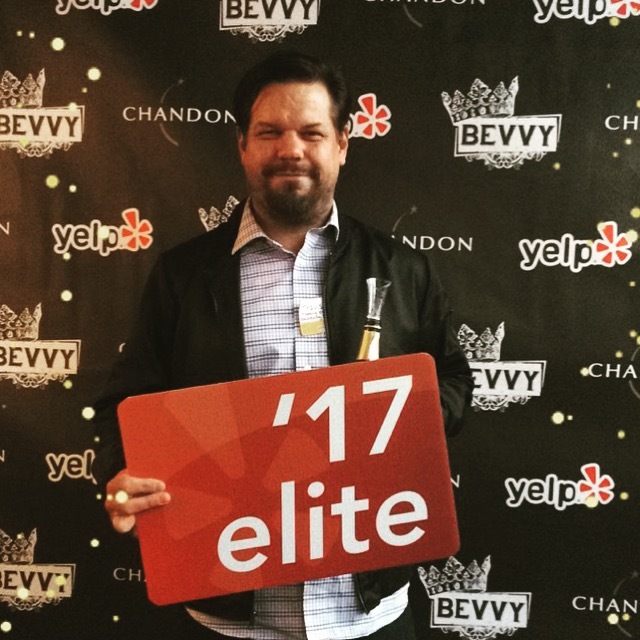 This entry was posted in Beer/Spirits/Bar and tagged #YelpElitesLoveChandon, 2017, bacon popcorn, Bevvy, celebration, champagne, Chandon, Community, downtown Scottsdale, Evening Entertainment Group, gastropub, Geofilters, Goof Booth, horse racing, neighborhood gastropub, New England Patriots, nightlife, Off Track Betting, Old town Scottsdale, RnR, Scottsdale, Scottsdale restaurants, she forks Phx, snapchat, sports bar, YEE, yelp, Yelp badge, Yelp Elite, Yelp Elite badge, Yelp Phoenix, Zomato by ttimmons. Bookmark the permalink.